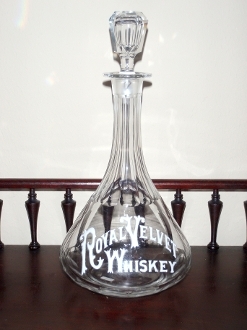 Royal Velvet Whiskey bottle decanter with cut fluted neck & base. Stands 9" & with stopper 11". Fancy white enamel lettering. Nice heavy decanter.